I wrote this in response to the announcement that Detroit’s emergency manager was going to file for bankruptcy. It was published in Rooflines on July 24, 2013. The discussion prompted lots of commentary on the various ills that afflicted Detroit without recognizing how most of these problems are widespread. Indeed, there have been several municipal bankruptcies since 2007. I am now researching municipal bankruptcies since the 2007 crisis. The bankruptcy of Detroit (the legal filing is currently on hold) has prompted a sudden flood of interest in the city. Pundits have breezily explained the event by blaming public sector unions, a corrupt and ineffective politics, or simply by saying the city is too big to be governed affordably given the number of people that live there. Much of this commentary indulges in “Detroit Exceptionalism,” which is to say that it explains Detroit’s current situation by invoking things that seem to make Detroit distinctive. This line of thinking should give everyone who has been grappling with the effects of the housing market meltdown and credit crisis pause. 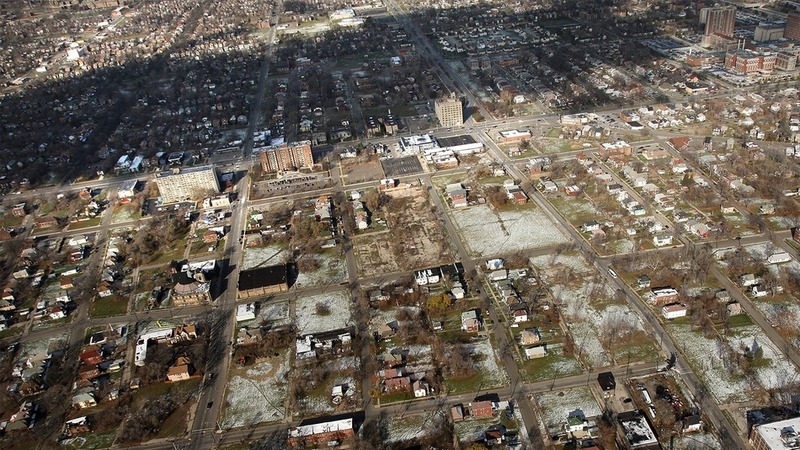 By engaging in Detroit Exceptionalism we obscure the general urban crisis in America, misunderstand its roots, and excuse ourselves from developing policy interventions to address it. Indeed, the combination of economic restructuring, legal limits on the autonomy of cities, and the foreclosure crisis have all combined to push dozens of cities to the precipice. Detroit isn’t even that unusual these days, despite the handwringing about its bankruptcy. Stockton, Jefferson County (Birmingham, AL), Harrisburg, and Vallejo have all recently gone bankrupt. Perhaps the most insightful commentary I have read on Detroit was in interview with Thomas Sugrue, the historian who penned one of the best histories of urban America, The Origins of the Urban Crisis, which focused on postwar Detroit. In explaining the crisis Sugrue focuses on three causes: capital flight, hostility between the city and state (underpinned by racism), and collapse of state and federal support for the city. What is most interesting about Sugrue’s list, as opposed to everyone else’s list, is that none of these are Detroit-specific problems. What Sugrue is saying is simply that no one, neither governments nor private actors, has put any resources into Detroit for several decades. The one factor that Sugrue overlooked in his explanation of Detroit’s current crisis is the impact of foreclosure. The property market in Detroit has completely collapsed. Indulging in Detroit apocalypse voyeurism, the election analyst Nate Silver has been tweeting Detroit real estate listings being sold for $1. According to some estimates there are 78,000 vacant properties in Detroit. But of course Detroit is hardly alone in suffering from foreclosure. Indeed, it probably hasn’t even suffered disproportionately. Tampa, Las Vegas, Stockton, and Cleveland have all suffered as well. Sugrue’s analysis is radically different from the usual explanations for Detroit’s circumstances, which have focused on the power of public sector unions, political mismanagement, and Detroit’s sprawling footprint. All of these can have an impact, but is Detroit’s situation so radically different from other cities that have not filed for bankruptcy? Detroit exceptionalists basically argue that it is. The table below compares some cities in terms of 2010 dollars expended per capita and 2010 dollars per square mile of territory. This chart doesn’t really answer a lot of questions, but it can certainly tell you that some of the usual explanations for Detroit’s bankruptcy are either simplistic or bad. For example, the idea that Detroit’s size puts an unreasonable strain on its treasury, or that Detroit politicians have not adjusted their budget to a shrinking population, or that Detroit politicians give away too much to public sector unions can all be questioned with this table, for the simple reason that Baltimore spends considerably more per capita and per sq. mile of territory. An argument like Paul Krugman’s in a recent blog post implies that the problem is actually that Detroit spends too little per square mile of territory, but there are dozens of cities that meet that standard, including Cleveland, Stockton, and Columbus in the table. Another basic shrinking cities problem is the need to maintain lots of infrastructure and institutions that were once supported by a far larger tax base. Indeed, that is why I included Columbus. Columbus was not much more than a state capital when manufacturing dominated the American economic landscape. However, it has grown rapidly over the last thirty years as manufacturing, warehousing, transportation, and new media operations all located in the region. Columbus has a huge territory; it also has very low tax expenditures, in part because it attracts lots of private investment. Then we come to Stockton, which like Baltimore is a city that grew rapidly when the production and transport of primary goods dominated the American economy but that has also benefitted from being close enough to places like San Jose, San Francisco, and Sacramento to attract new residents. Stockton is bankrupt; Baltimore is not. Stockton spends a mere fraction of what Baltimore does per capita. The last comparison of interest is between Cleveland and Detroit. Both are cities that grew alongside a national manufacturing economy and have continued to be heavily dependent on that economy, for better or worse. Cleveland, of course, has already had an effective bankruptcy, including a default on federal debt, but that was during the last major urban crisis, one that also claimed New York. Cleveland has many characteristics that distinguish it from Detroit. Its economy is probably more diverse. It has an active and interventionist philanthropic and nonprofit sector, including many CDCs and a considerable community and economic development organizational infrastructure. Perhaps most importantly, since 2004 the city has been governed by a mayor, Frank Jackson, who opens every state of the city speech with a discussion of the city’s fiscal situation and who relentlessly keeps the books balanced. Both Cleveland and Detroit have experienced rapid population decline, have comparable median incomes, are deeply impoverished, and suffer from considerable racial polarization. In one sense, then, we can see that Detroit’s political leadership perhaps fails in comparison. The City of Cleveland spends less per capita and per square mile than Detroit. On the other hand, is this really a strategy that matters to the average Clevelander? The city is basically just as poor, the school system has been overseen by federal courts for years, and the city was devastated by foreclosures. That said, Cleveland has done some things right, along with other “shrinking cities”. Philadelphia has converted land to green belts. In Cleveland foreclosed properties are either quickly put in the hands of community developers or quickly demolished. In Youngstown a radical step was taken: pay people to move into the city’s core. Many cities give vacant land to neighboring homeowners. This is all admirable. But the comparison with Detroit is still revealing. Clevelanders are not much better off. In short, the combination of economic decline, foreclosure crisis and related credit crisis, and a lack of institutional autonomy positions dozens of cities on the precipice of crisis. Some, like Cleveland, will probably not go over the edge while others, like Detroit and Stockton, already have. This is how we should think about Detroit. The city is not an exception that can teach us lessons about what not to do. Instead, it is a symptom of a broad urban crisis that neither Democrats nor Republicans show much interest in addressing. The more we focus on Detroit, the more we misrecognize the symptom for the disease and the more we fail to recognize what we are doing to our cities.